Decisions, decisions, decisions. 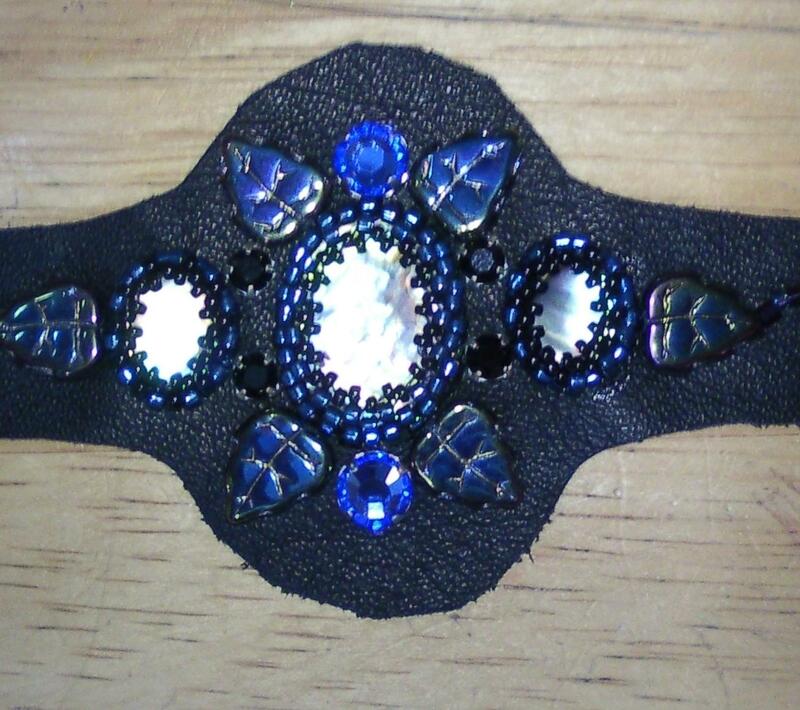 What beads to add to the cabachones on the black leather bracelet? I auditioned quite a few ideas; and right away wanted to bring the design out towards the sides...so a must would be adding some triangle or oval shaped beads. 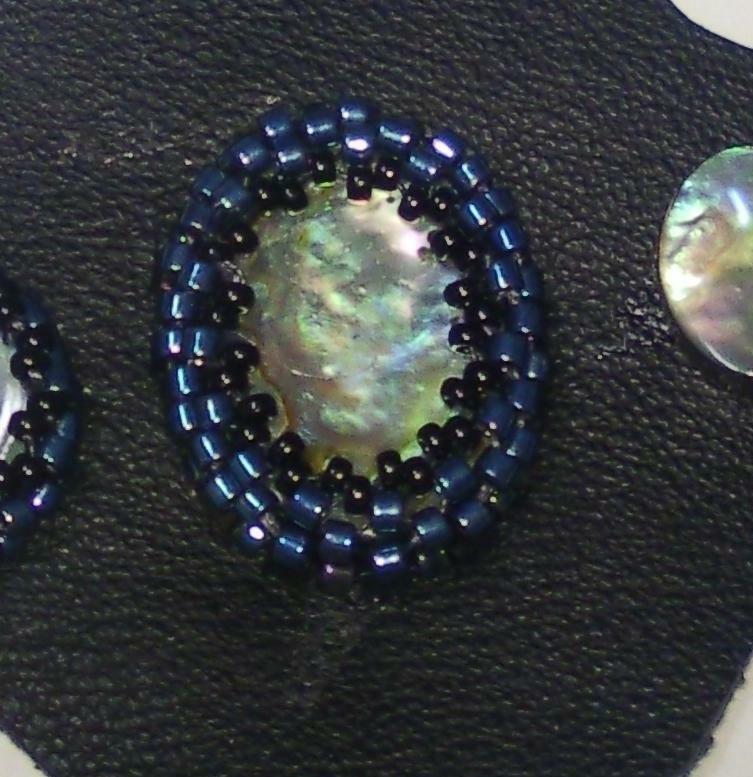 Ovals were just too similiar in shape to the cabochones...so finally, I settled on leaves. 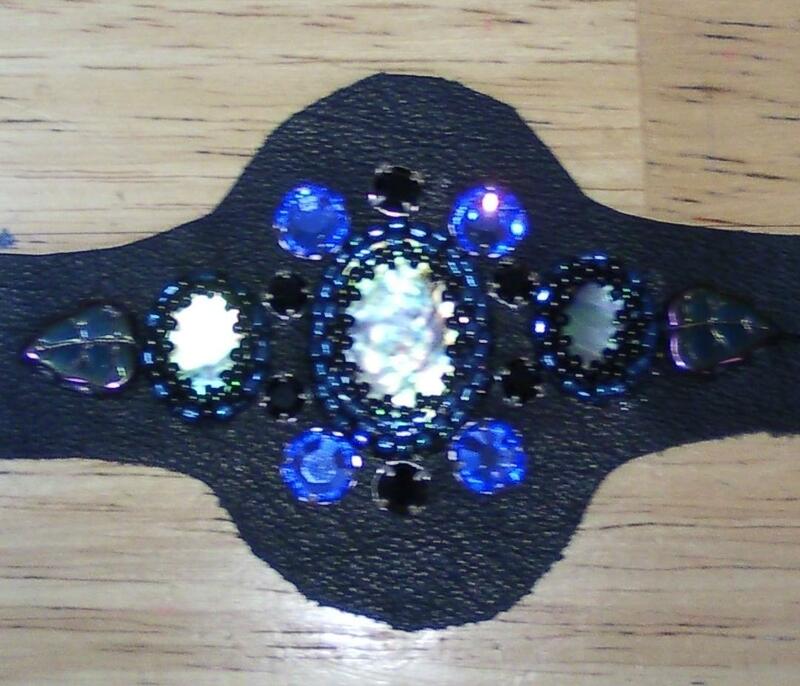 What to do around the center cabochon? I want to add some crystals...but, these large montees might be too much? Here are some of the other ideas that I (and my muse) auditioned. Finally, this last option was almost the end result. 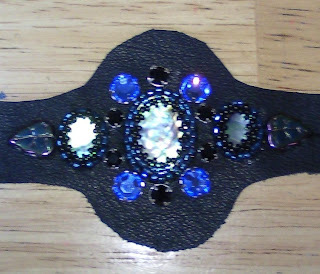 More leaves to balance the ones added to the sides...and some black to subdue the bright of the blue crystals. But, I didn't like that space between the black montees. So, I included a small montee in blue to each side. I added some seed beads and hexes to the end of the leaves to widen the beading a little and bring it around the bracelet. Now, I'm happy with the general idea. 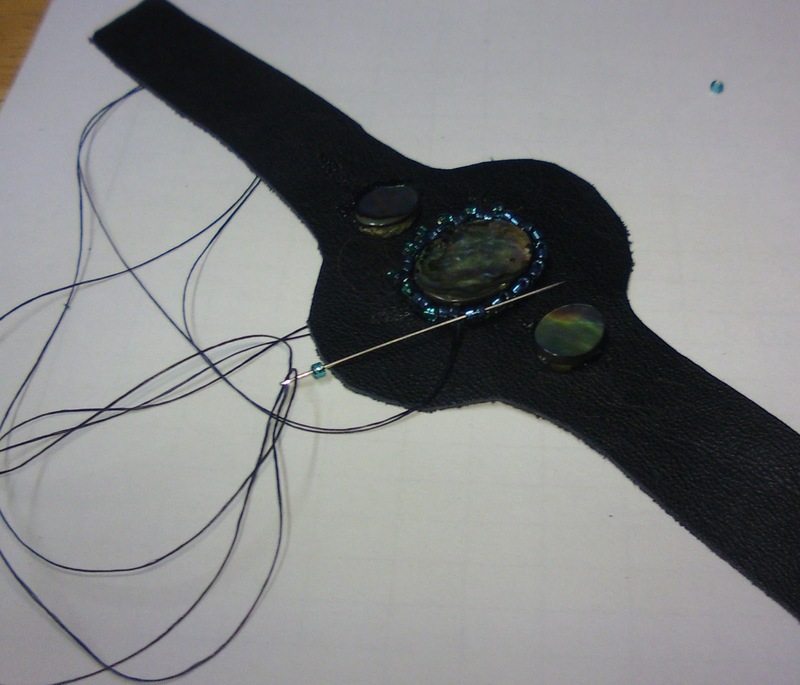 Next is to sew everything in place. 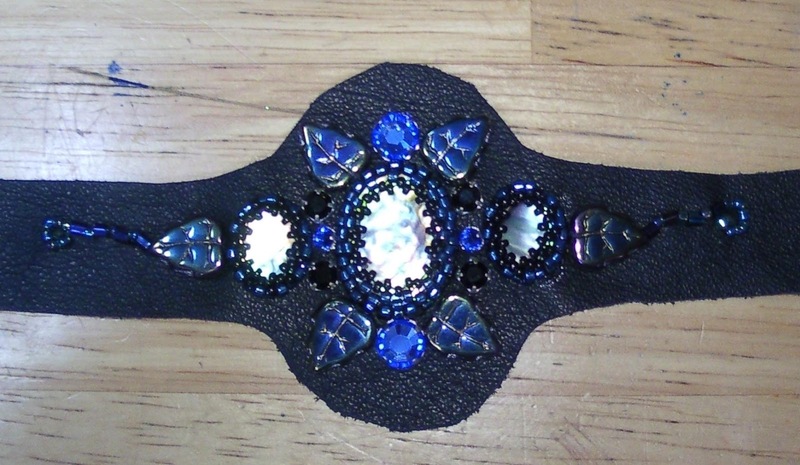 Here is the finished bracelet top.Instead of beading the entire surface, I'm going to leave some leather showing. My daughter is not too "girly". She is a welder by trade...so, I'm thinking that this more "biker look" would be more to her liking. 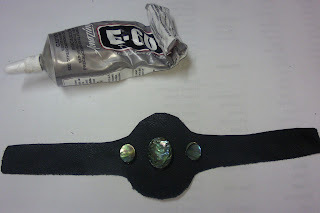 Tomorrow, we attached the felt to the bottom and sew everything together...encasing the metal bracelet shape between the leather top and the felt bottom. 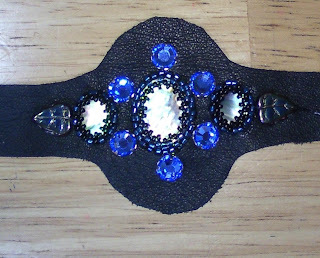 It's been a while since I've done any beading, so thought I'd do a little of that today. 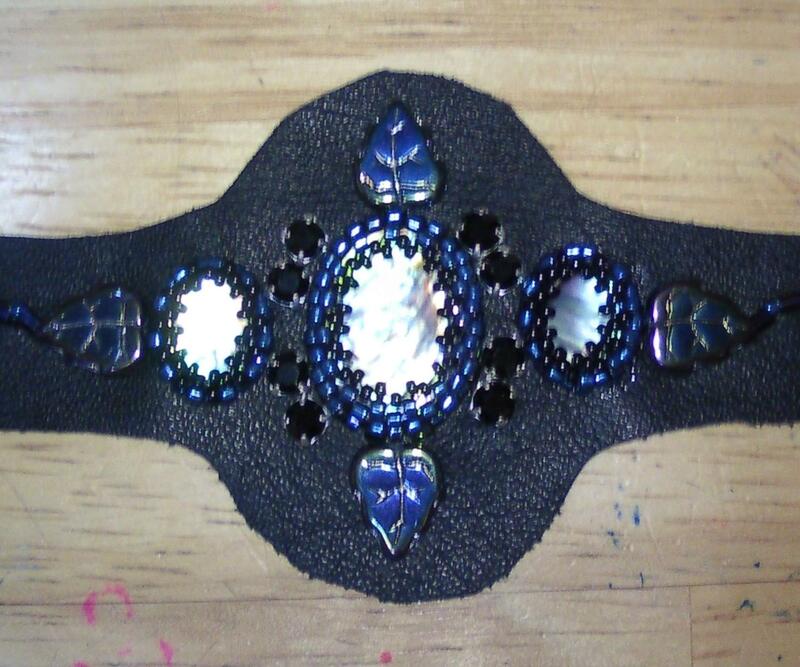 This will be a bracelet for my daughter (if it turns out okay). 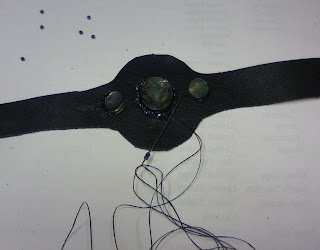 I'm stitching on leather. 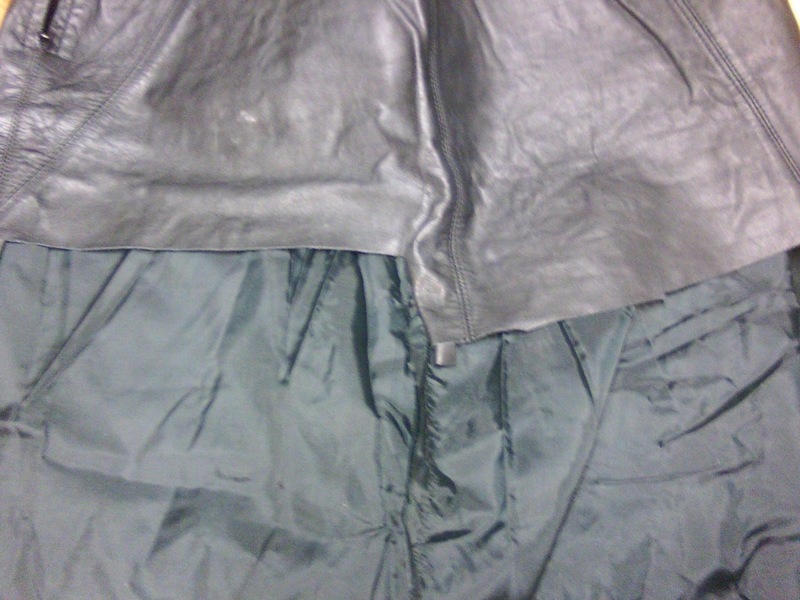 Not thick, hard leather...but very soft, thin, and suble leather. It came from an old leather skirt I got at the Thrift Store. As you can see, I've used this skirt before for other projects. Beginning requires a pattern. So, I'll start with a bracelet metal frame. 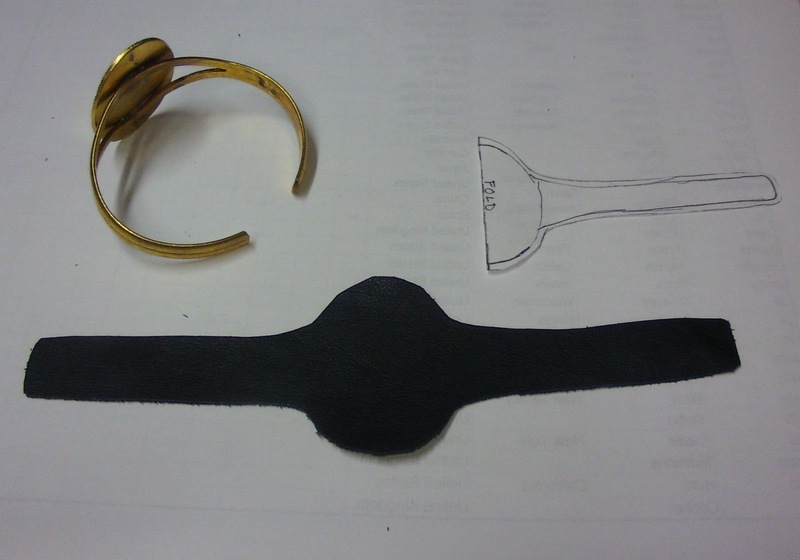 That shape was rotated on paper and traced to get a pattern for cutting the leather. 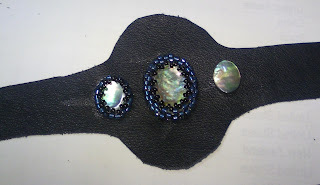 Three cabochons are glued down with E-6000 and ready to start my surface beading. 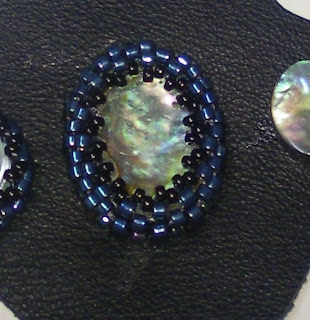 The first part of the beading is to enclose all three of the cabochones with beads. You can see that here on the right side of the stone (click on the photo to enlarge). Sorry it's so hard to see, but using dark beads on black leather is just that way. The remaining rings are sewn into the previous rows, using a circular peyote stitch....common in beading. 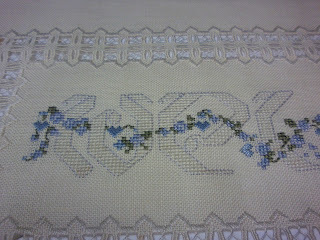 For the last two rows, I changed from seed beads (sz 11) to Rocailles beads (sz 15). This decreases the wall of beads and curves them on top of the cabochon to hold it is place. What to do next? How to cover the remaining leather? Good question...and my muse is thinking that over. 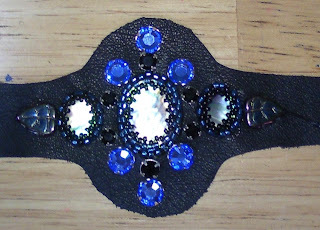 So, just stay tuned...got to back to the TO-DO List before this project can be finished. Hugs! My list of project to work on is long. Seriously, really...really long! However, my muze does not have a care in the world...and is easily distracted. Yesterday, I received an email from a friend (Hi Jackie!) asking for a good source to purchase silk ribbon. No problem...happy to share. And, that simple note caused my muze to start thinking about silk ribbon and all of the glorious colors in my ribbon drawer. 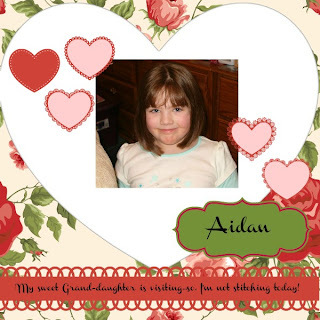 And, yep...could not stop her...off we went to create something in ribbon. And, while this little pin cushion is not an item on my TO-DO list...I'm going to still have a great use for it as a gift for a friend. 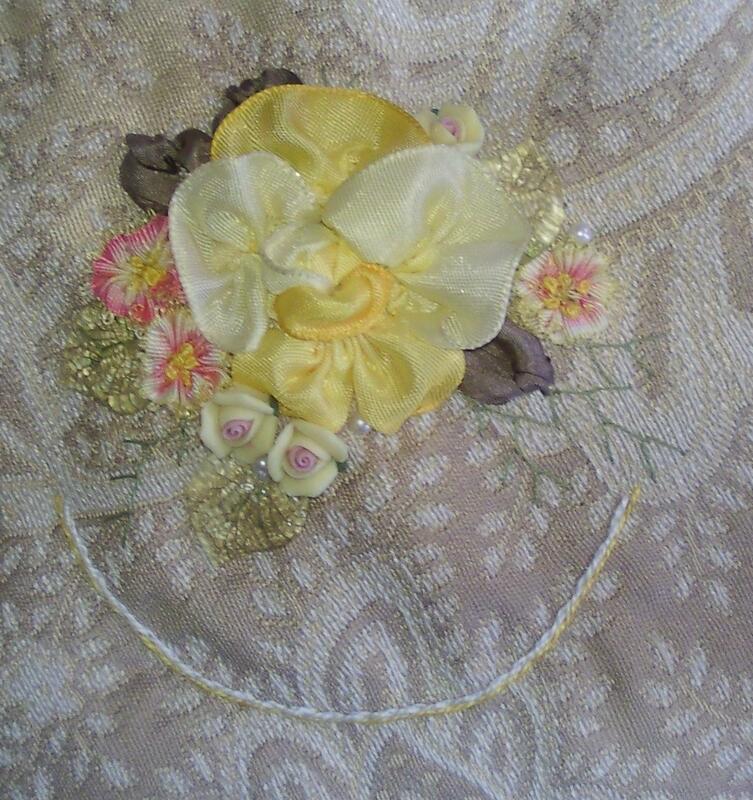 The bottom is felt, the top is a piece of designer fabric, and the ribbons are green/brown silk leaves, wire rayon yellow for the rose, and gathered rayon? for the small flowers. 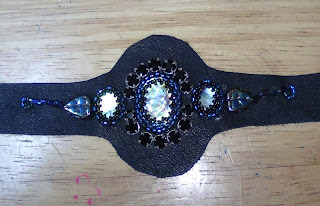 Add some pearl and porcelain rose beads to finish it all off. 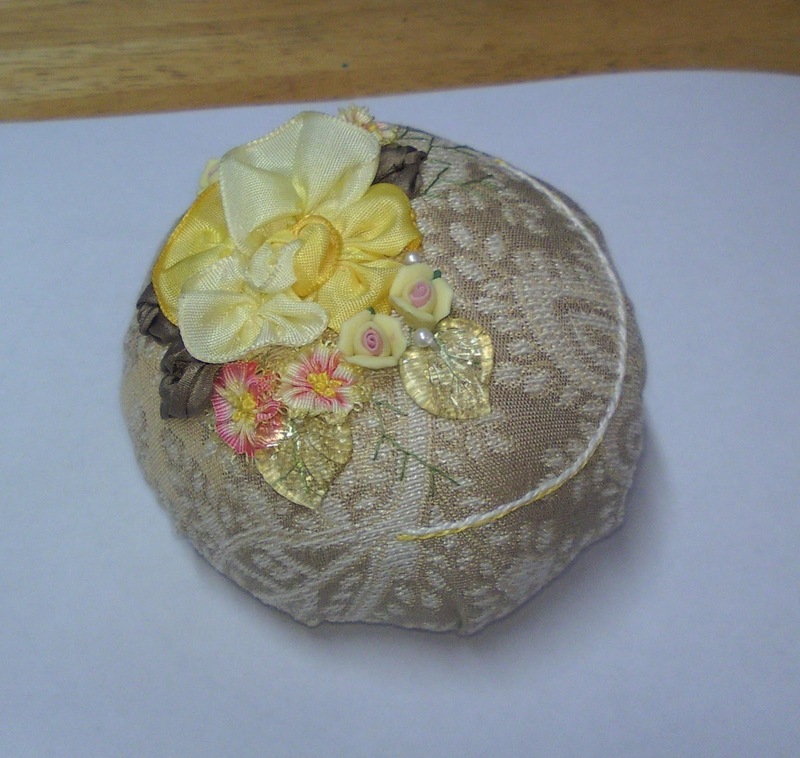 The rose is a tied knot center with individually gathered and placed petals. 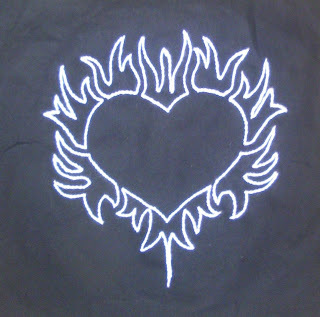 Here's the fourth and last of the black hearts. 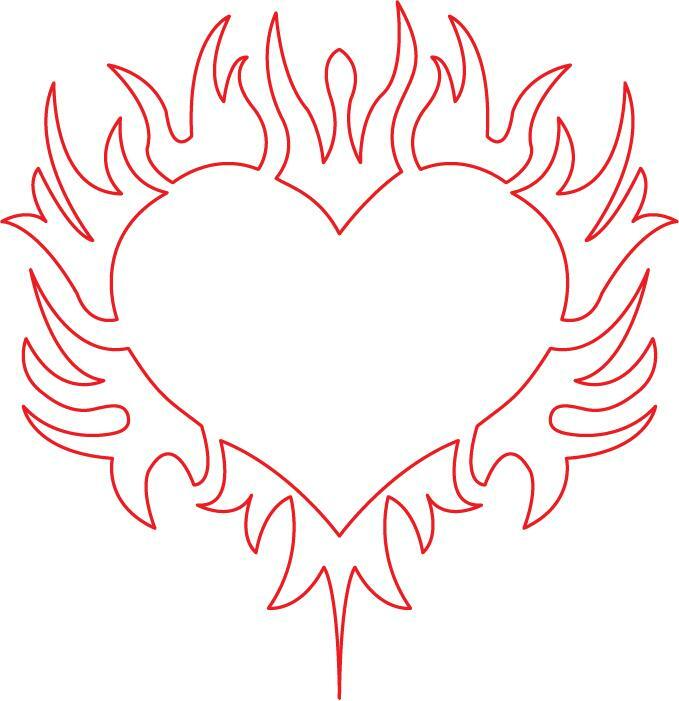 This one is a slight variation of a tribal art style tattoo design I saw on the internet (have now idea who designed that version). One lady in the group rides Harley Davidson motorcycles...so thought that she'd enjoy this block for sure. 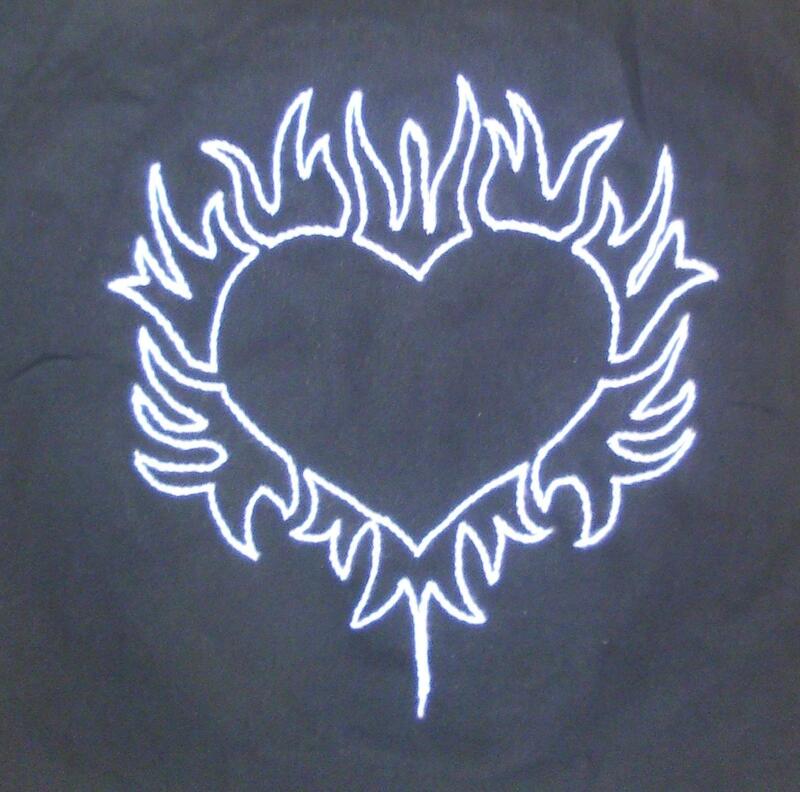 Here is the re-vamped design if you want to stitch it too. 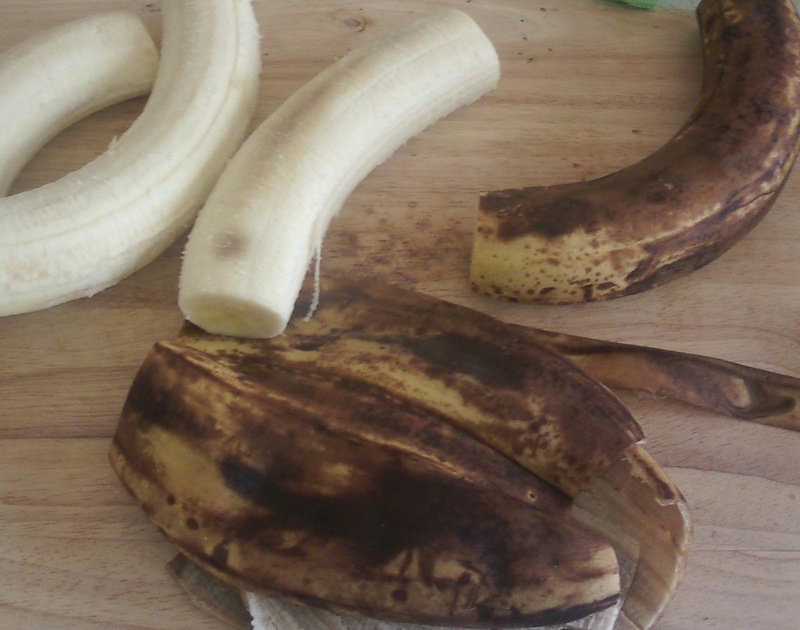 What to do with four over-ripe bananas? 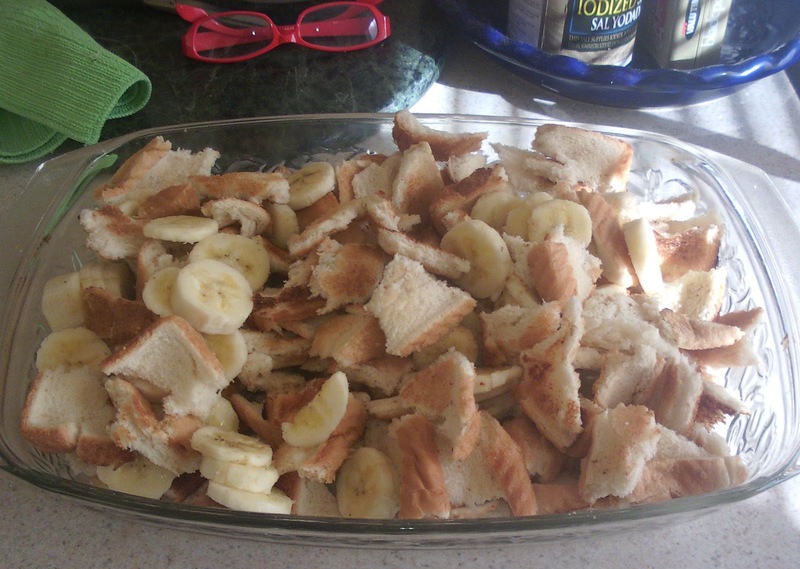 Well, banana bread is always an option...but, I don't have any nuts...and I really love nuts in my banana bread. I could crack and pick-out some pecans...but I don't want to work that hard right now. (Yep, I'm lazy sometimes!) 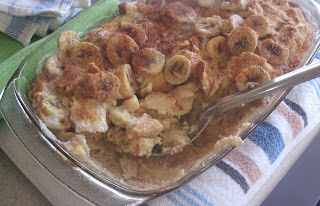 How about some banana bread pudding? No such thing...hey, why not! Here's how I did mine...and how it turned out. 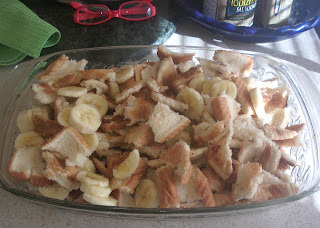 Took a 3/4 loaf of Texas Toast bread from the freezer and toasted it (4 slices at a time...took about 5 minutes). 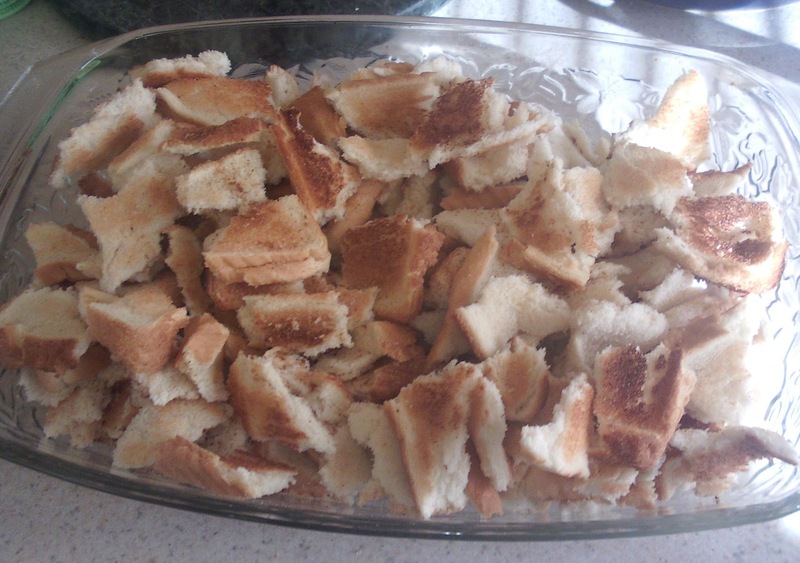 Tore the bread into pieces as it came out of the toaster, and loaded it into my 2" deep glass casserole dish. 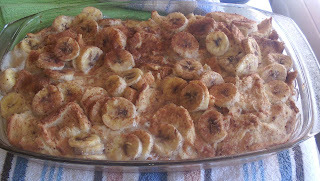 Took one can of sweetened condensed milk (sugar/milk reduced). 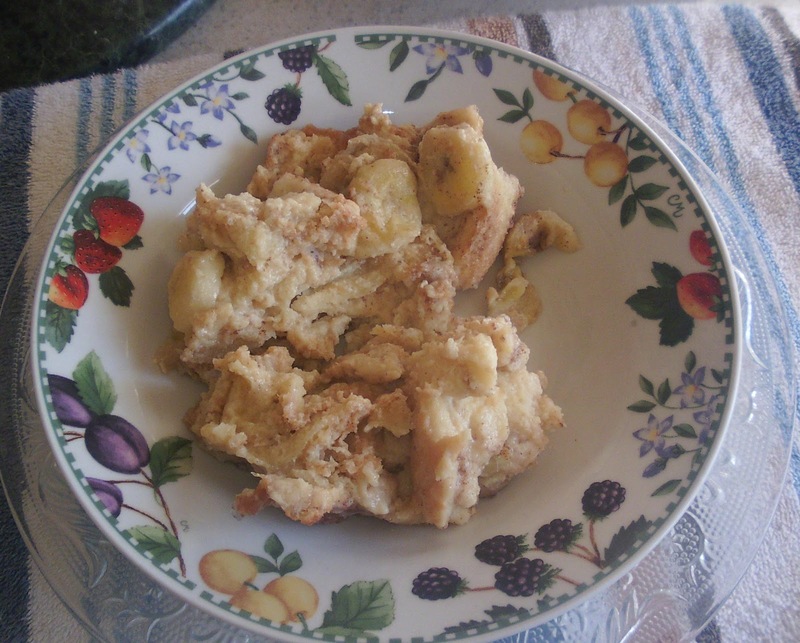 Used the can as a measuring cup (about 1 1/4 cup) and put about 3 cans of milk into the pan (about 3 3/4 cups)...and a teaspoon of cinnamon. Warmed this up until well blended...about five minutes. Poured the milk/cinnamon mixture over the bread. 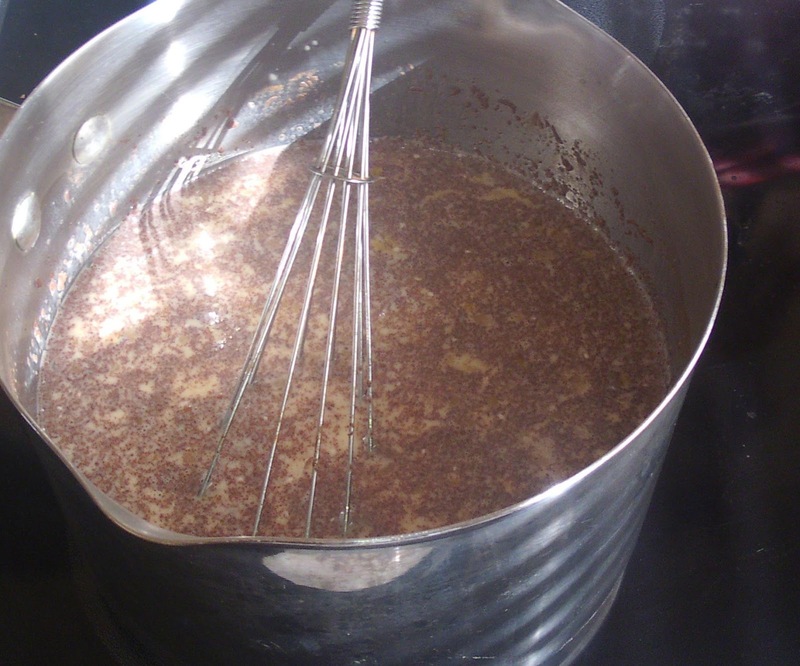 (Optional...keep about 1/2 cup for sauce later on. Wish I had thought of that!) Sprinkle a little extra cinnamon over the top. 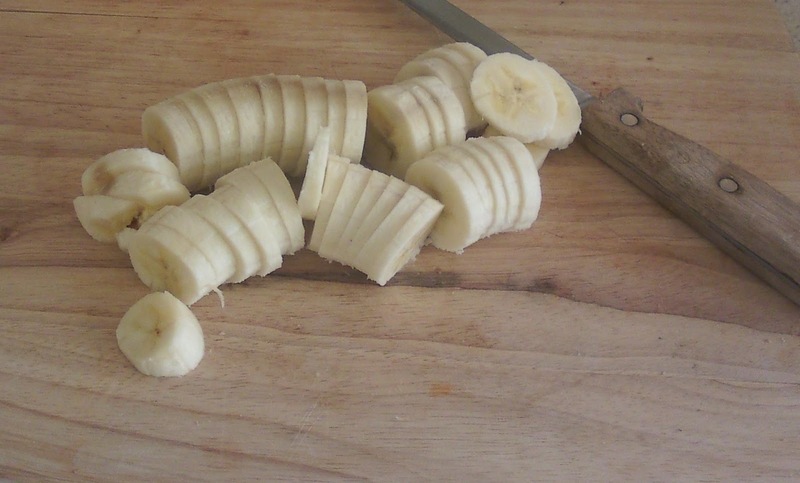 Here's what it looks like all together. Bake at 350degrees for about 40 minutes. 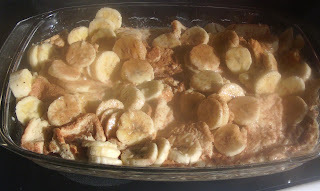 Here's what it looks like after baking...somewhat firmer...and smells great! We scooped out some right away. Wish I had some of that sauce...but, too late for that now...I'll remember for next time however. This was before....and nothing was left afterwards! Easy, quick, tastes good, and feeds a crowd! 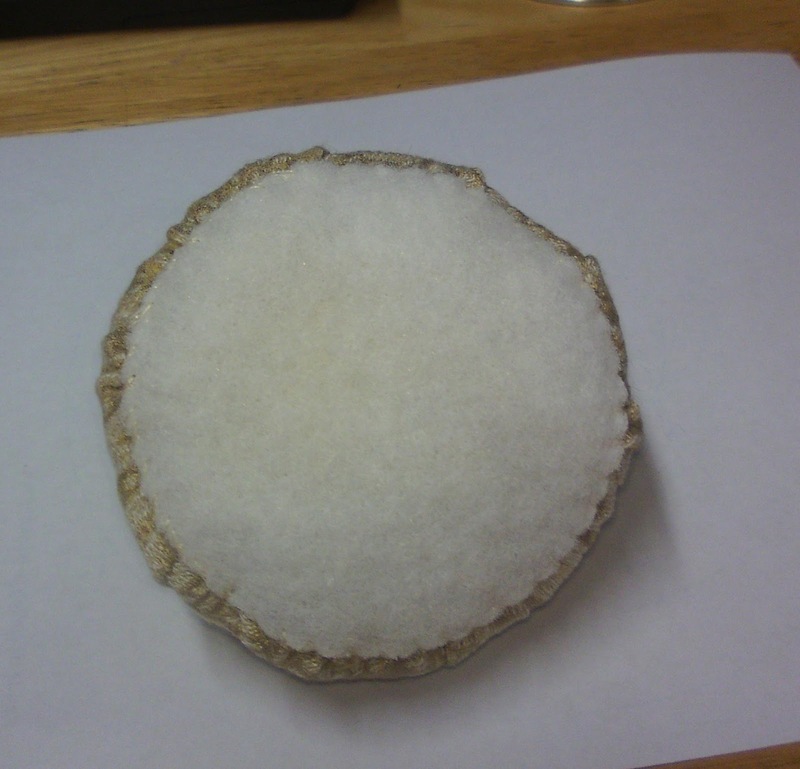 Experiments sometimes DO work out! Here's the third black block in my Heart swap. 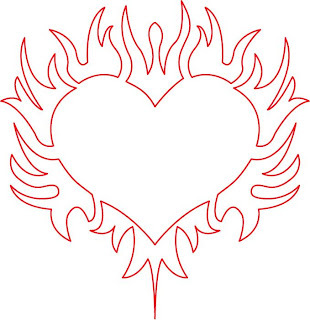 This design was inspired by a similiar one for a tattoo. 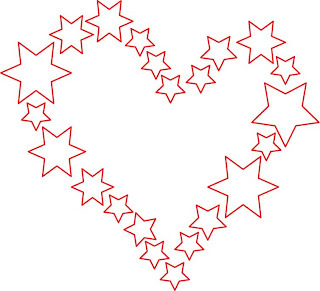 That design had overlapping stars, all five pointed. 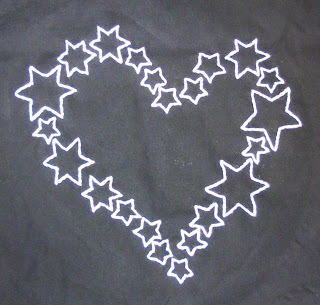 I did not want the stars to overlap, but sit side by side...and made them five-point and six-point stars. 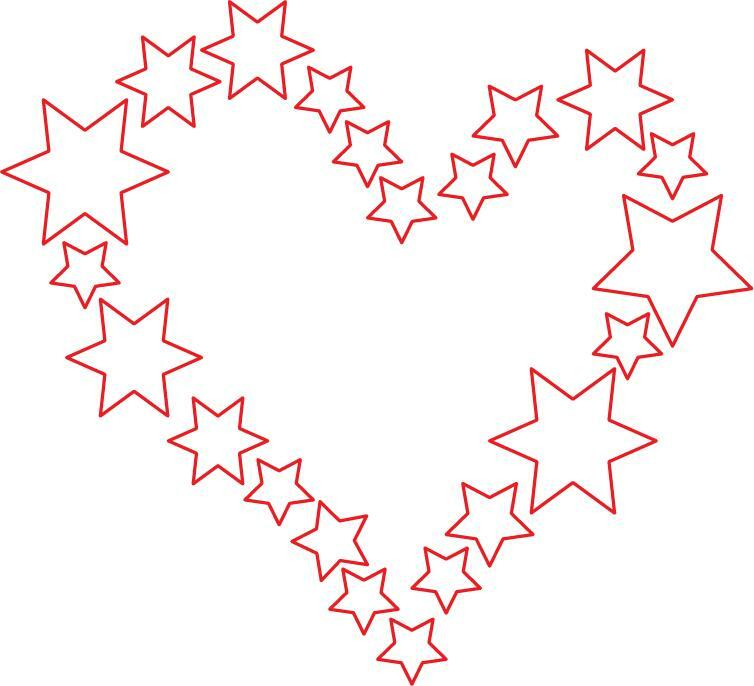 I'm thinking that this design would be nice stitched in red and blue on white background...for a USA themed patriotic quilt block. 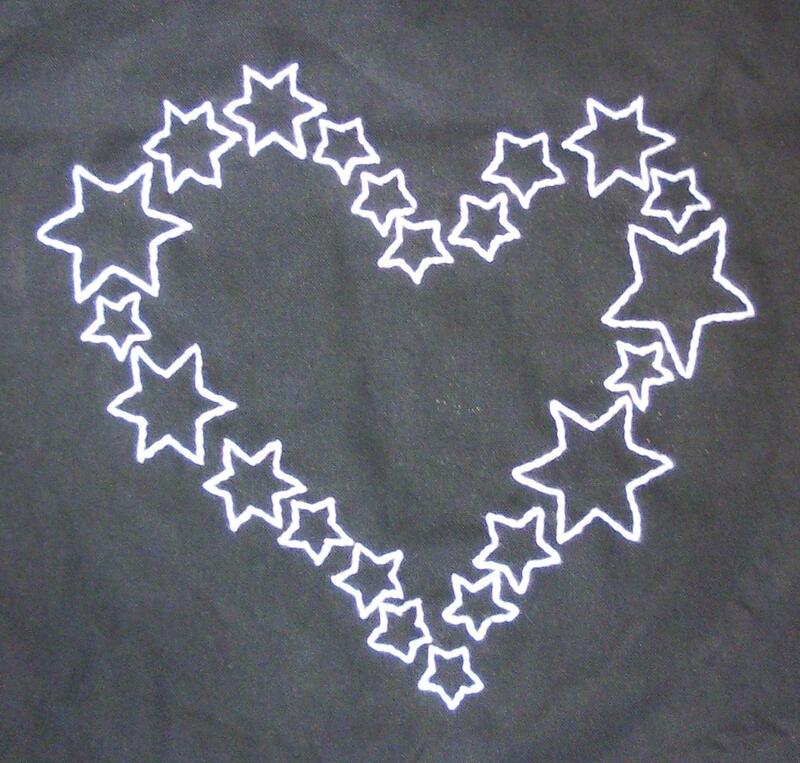 I'm thinking I might stitch a Quilts of Valor wall hanging of this design...for a wonderful lady I know who works tirelessly on collecting and creating quilts for the QoV project. I don't have enough red/white/blue fabric for an entire quilt...but think I have enough for a wall-hanging size tribute for her. As always, you are welcome to download and save this photo design for your own use. 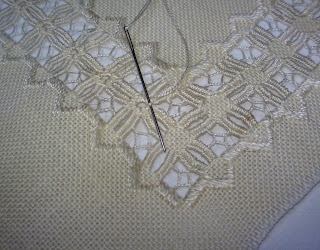 Hardanger is a pulled thread technique that requires the removal of some threads from a fabric (usually a counted thread type fabric); and replacement of those threads with some type of connecting stitch. 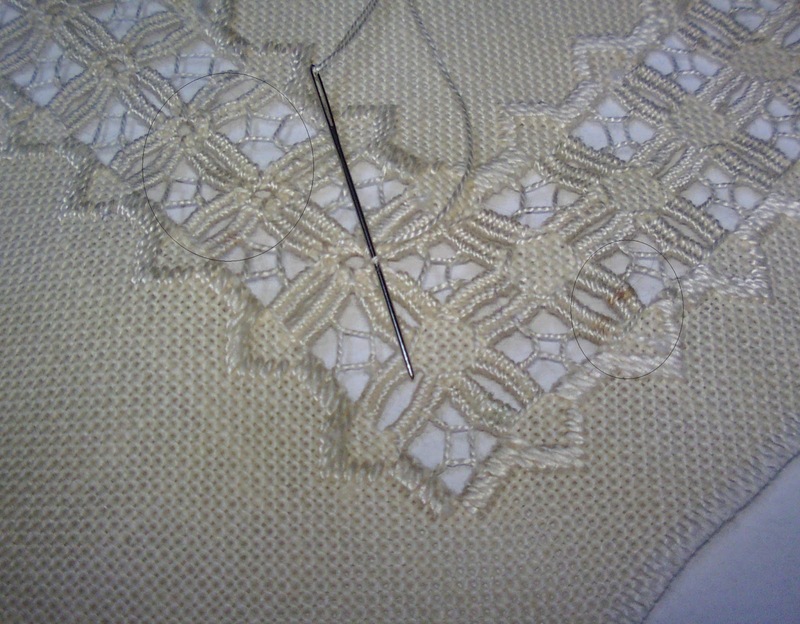 Hardanger work is beautiful, and it is time consuming. 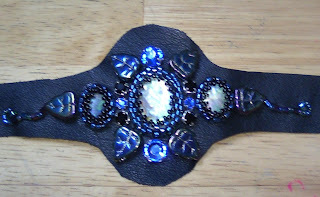 While looking for something else...I came across this little "almost finished" project. I had completely forgotten about it...so, it wasn't "lost"...but it has definitely been found! I started this project when I lived in south Alabama, near Ft Rucker...and also remember taking it with me on work trips (to stitch in the hotel rooms) when I was working for Army Audit Agency in their Atlanta Field Office. I also remember the piece was too difficult to work on in the hotels, because the lighting from hotel lamps was just too bad (and my eyesight before my Lacis surgery). 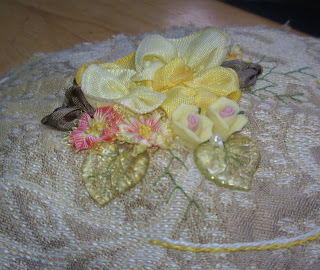 So, I had packed it away, along with the thread, needle, and little scissors too! So, it has been safely resting...since about 1999. Amazing that I had forgotten all about it and even more amazing that it was not discarded in my relocation to north Alabama...but has remained sitting...and waiting...for me to "re-discover it" inside one of my craft boxes. There are a few little places where it is stained...no idea how or what caused them. But, after a bath, most of that is no longer noticeable (photos are before the bath). I'm surprised that I didn't leave very much room to the right and left of the design. This will prevent me from framing it, as it would not be enough fabric to tack to stretcher bars. But, it is enough for me to sew fabric to...and create a pillow. Perhaps that was my original intent...or, perhaps I just didn't think. Either is quite possible! Hugs! So, we shall see what this little found project now becomes...perhaps a gift? 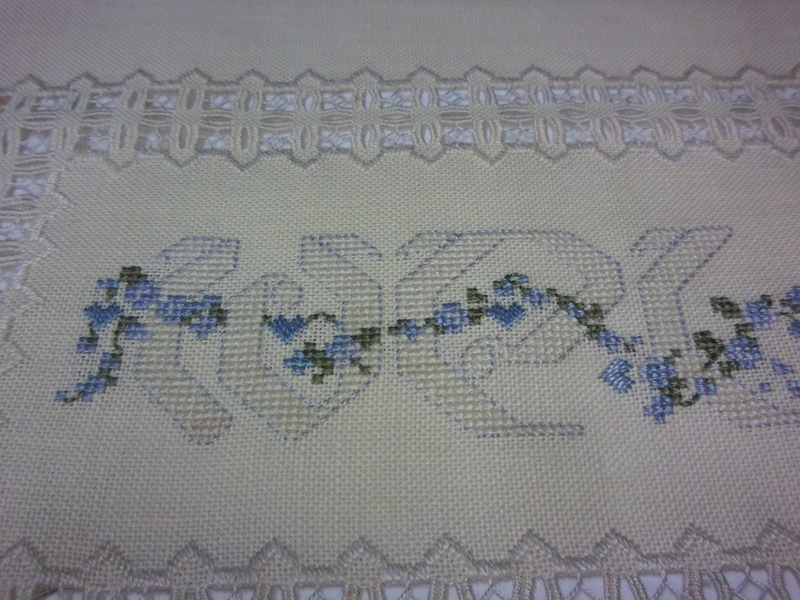 The stitching is now all done, and the piece has been washed, dried, and pressed flat. Now, it is rolled up onto a cardboard tube and covered with fabric outside to prevent any other damage...until I can make my pillow. Let's hope I don't wait so long to "find it" again! 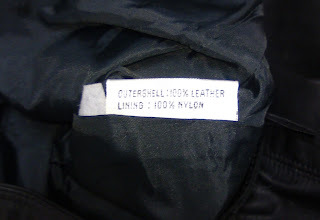 Have you "found" things that were hidden so long that you forgot you even had them? I hope so...I'd hate to be the only "crazy lady" out here in CyberVille! Hugs! Hope y'all have a great day today! A-M-A-Z-I-N-G Want to see some extraordinary embroidery work? I mean, so good that it looks almost as good as the original animal does? Then be prepared to be inspired...and in awe! 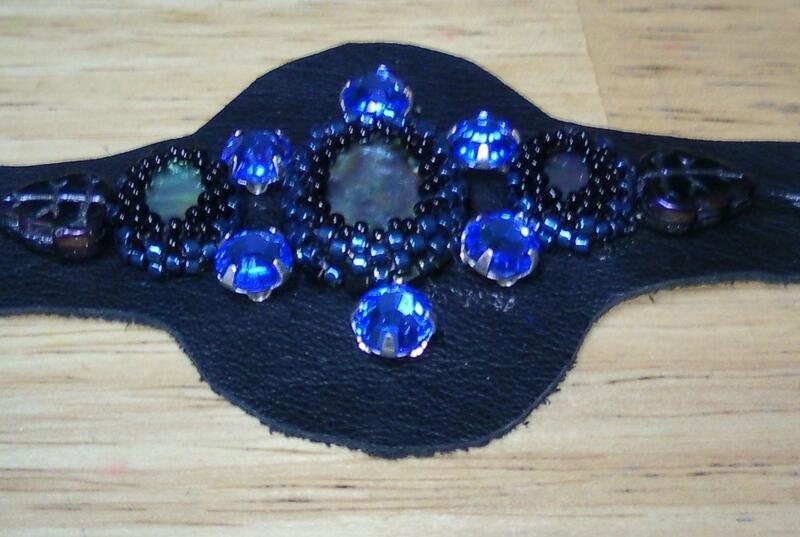 Check out Elza DeJager's work on her Pinterest Site. Yep, you'll thank me! Now, wipe that droll off your chin....Hugs! Yesterday, I managed to get the embroidery work completed for the second of my set of black blocks with white embroidery hearts. 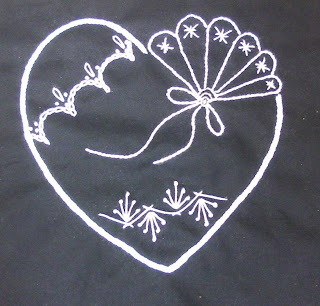 These are the embroidery stitches I used: Main Heart - 3 rows of Split Stitch Fan - Stem Stitch w/Straight Stitch "stars" Top Seam - Chain Stitch, Detached Chain Stitch, French Knot Bottom Seam - Straight Stitch, Herringbone Stitch, French Knot The seams were free-handed using my templates to mark the base; and are not exactly like the original drawing design reflects.....which is fine with me. 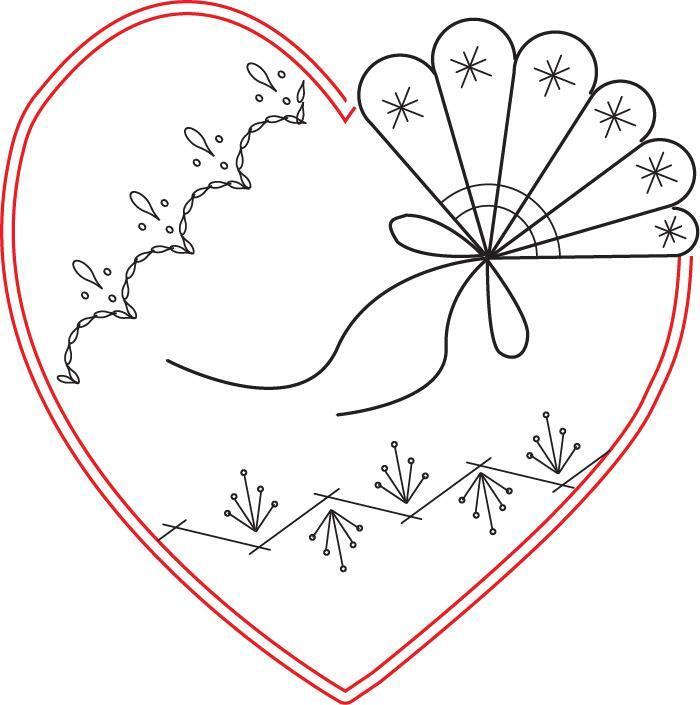 Here is my design if you'd like to give this heart a try. I think that this is a good design to modify and make your own. 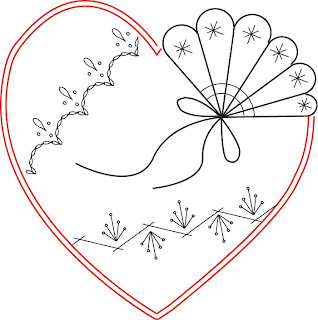 Some ideas: Use one line for the heart shape, change the seams to include some you already like to stitch, replace the "stars" in the fan blades with swirls or flowers...really, this could be very versatile...and tons of fun!